This should give you just about everything you need to know for MAN CAMP. Have a question beyond what’s covered here? Talk to your Trip Captain. You’re carpooling with your unit to a place near Neville, OH. Get details from your Trip Captain. Generally, we’re off the grid during MAN CAMP. We’ll be turning off and collecting cell phones before we head out to the campsite. 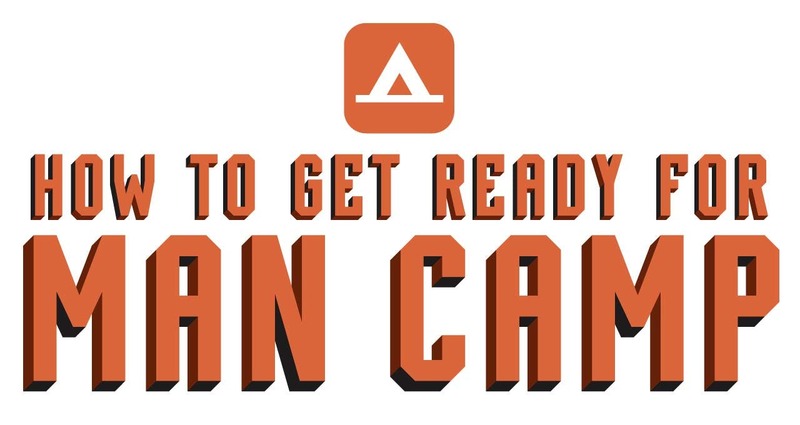 If there’s an emergency at home: Before MAN CAMP, your Trip Captain will give you a phone number for your family to call in the event of an emergency. If there’s an emergency at MAN CAMP: We’ll have a medical response team onsite, and a way to get you from the campsite to a hospital. Everything you pack needs to fit into one duffel bag and one backpack. You’ll be hiking all your gear over a mile, so pack lightly. FOOD. We’ll supply lunch on Saturday, as well as beer/soda/water. Beyond that, you’ll need to bring your own—food for dinner Friday, Saturday breakfast and dinner, and Sunday breakfast. Bring food that can be stored without refrigeration, and that doesn’t need a whole lot of prep time (unless you’re a campfire gourmet). Clif-Bars, jerky, cheese and crackers are all great options. Don’t bring a gun. We’ll have too many guys, and it’s completely unnecessary for this event. Don’t bring power tools. They’re too heavy and bulky anyway. Pooping outside is glorious and natural. Always face uphill and use a wide stance (falling in is bad). Take a couple of wet wipes with you to clean up. If it is super cold, a Nalgene bottle filled with hot water (heated by Jetboil or the fire in a pot) will make your sleeping bag super comfy. Just heat the water, dump it in the Nalgene (close the lid tightly) and throw that into the foot of your bag when you get in. Don’t do this until you are 100% ready to go to sleep, you want to soak up as much heat as possible. Don’t heat a plastic bottle or a bottle with a plastic closure by the fire. It could easily develop a leak and your bag will be wet and miserable all night. Pro-tip: Throw the clothes you’re going to wear in the morning into the bottom of your bag too (not between you and the Nalgene). They will help keep the heat in the bag and they will be toasty for the morning. Remember, DO NOT WEAR THEM TO SLEEP. If it is going to rain or snow, Cotton is the enemy. Denim is only slightly better. Wear synthetic items if possible. Don’t put food inside your tent unless you want a nighttime visitor with paws. Most tents have a “vestibule” which is a spot covered by the rainfly outside of the sleeping area where you can store items. The bottom line is, weather in the Midwest is unpredictable and it could be cold. We aren’t going on Shackleton’s expedition; we’re spending one day in the woods being men. This isn’t a kegger. We will have some pop and beer available (you bring your own brown sauce). Overindulging isn’t just irresponsible it’s dangerous. It can increase your risk of hypothermia. Don’t act like a boy and put your unit in a bad situation.